Dee Brown's 1970 Bury My Heart at Wounded Knee was the first truly popular book of Indian history ever published. But it promulgated the impression that American Indian history essentially ended with the 1890 massacre at Wounded Knee--that not only did one hundred fifty Sioux die at the hands of the U. S. Cavalry but Native civilization did as well. In The Heartbeat of Wounded Knee, Treuer melds history with reportage and memoir. Tracing the tribes' distinctive cultures to first contact, he traces how the depredations of each era spawned new modes of survival. The devastating siezures of land gave rise to an increasingly sophisticated legal and political maneuvering that put the lie to the myth that Indians don't know or care about property. The forced assimilation of their children at government-run boarding schools incubated a unifying Native identity. Conscription in the US military and the pull of urban life brought Indians into the mainstream and modern times, even as it steered the emerging shape of self-rule and spawned a new generation of resistance. Photographs, maps, and other visuals, from period advertisements to little-known historical photos, amplify the sense of discovering a fascinating and heretofore untold story. 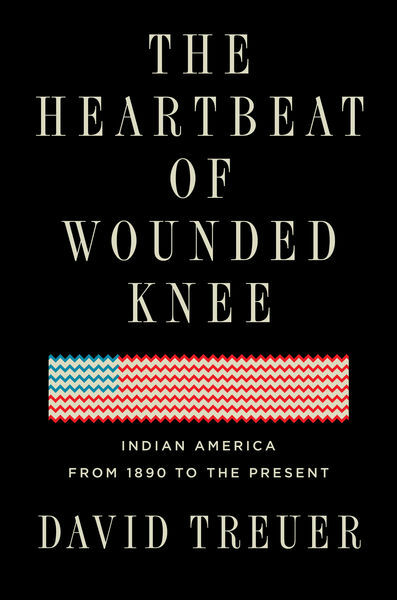 The Heartbeat of Wounded Knee is an essential, intimate history--and counter-narrative--of a resilient people in a transformative era.